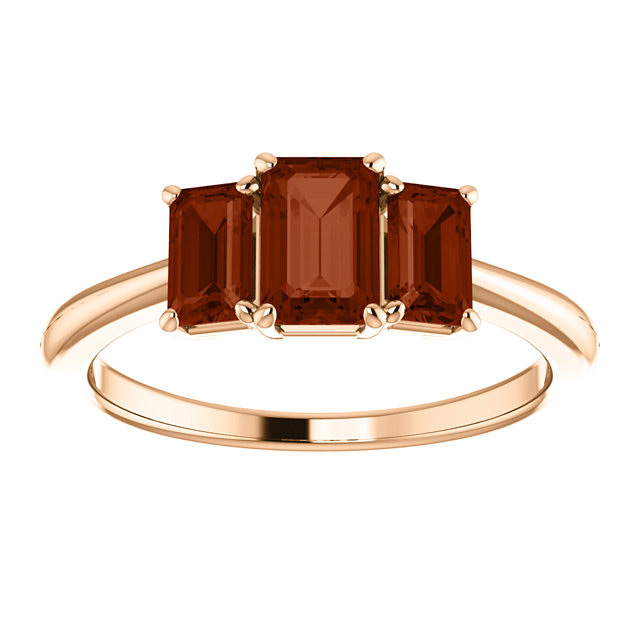 Made in 14k rose gold, our three genuine dark orange-red emerald-cut garnet ring is truly one of a kind in splendor and elegance. Garnet center gemstones measures 6mm x 4mm in size and two accompanying side garnet gems measure 5mm x 3mm in size each. Gemstones are rated AA quality. 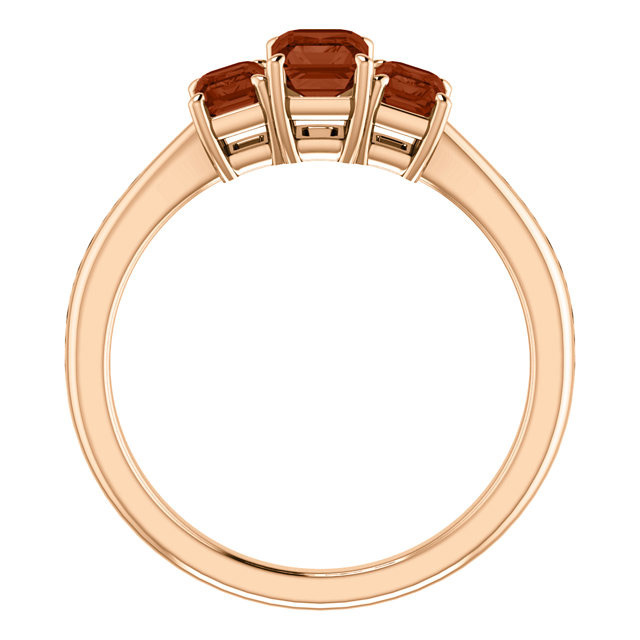 Also available in 14k white gold or sterling silver (shown below) or in yellow gold, 18k gold, or platinum (by request). 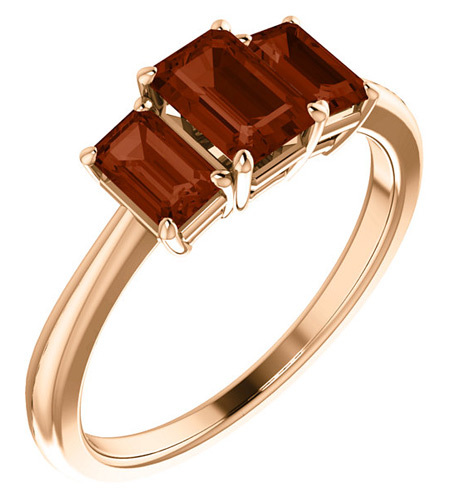 We guarantee our 14K Rose Gold Three Stone Emerald-Cut Garnet Ring to be high quality, authentic jewelry, as described above.